After the flurry of official cash rate movement in early/mid 2014, the RBNZ left the cash rate on hold for quite a while. But that all changed in June, July, September and December last year, as well as March this year! Our official cash rate is now just 2.25%. A lower official cash generally translates to a lower home loan interest rate – but that doesn’t mean that you should leave your home loan on hold. It’s always a good time to compare your options and save money on your home loan! Here are three ways that you could potentially save serious money on your home loan right now. Source: Canstar. Based on interest rates researched by Canstar, march 2016. Bargain – but keep your repayment the same. Pay your home loan fortnightly. Best of all, by doing all three strategies you can not only save significant money on your loan, you can also free up your cashflow years earlier. 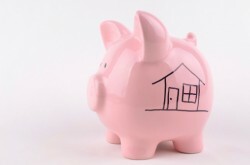 So be smart about your home loan repayments – and reap serious rewards.